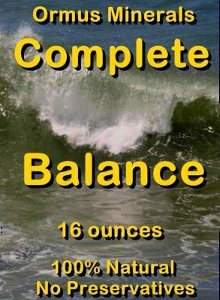 Made from the purest essence of the Pacific Oceangathered off the pristine shores of the Western United States and multiple Ormus Rich Salts from around the world.. Combined with the Sole gives you the 84 minerals from the Himalayan Crystal Salt for asynergistic natural nutritional energy. Ormus Minerals extracted from Pacific Ocean Water & Multiple Ormus Rich Salts and then infused with Sole (Solay) made from Himalayan Crystal Salt. 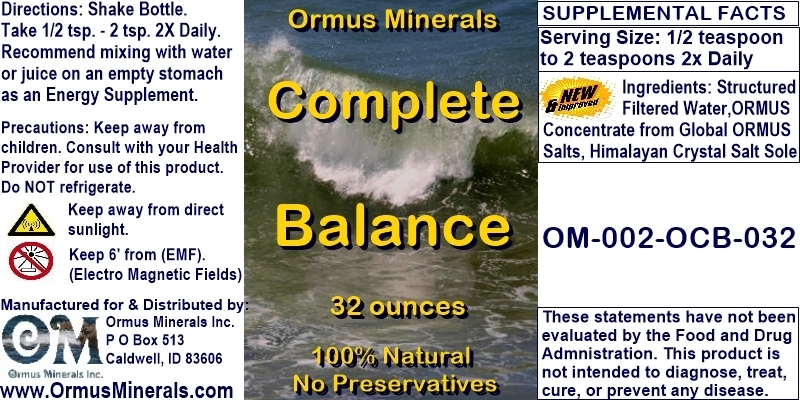 What Makes this Ormus Minerals Complete Balance Unique? We start with pure distilled water and then charge the water so it is able to absorb more minerals when we do the Ormus process. 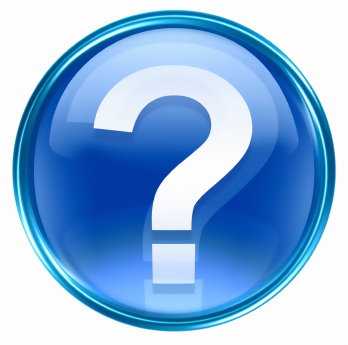 Then we do a complete Ormus Mineral extraction process with multiple top quality know Ormus Minerals Rich Salts. An energy that feeds your body and mind.